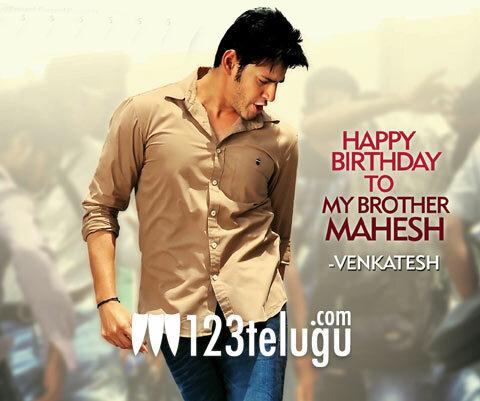 Today is the Birthday of Tollywood Superstar Mahesh Babu. The star hero was born as Ghattamaneni Mahesh Babu on August 9th in 1975 to Superstar Krishna and Indira. Mahesh Babu spent most of his childhood in Chennai, under the care of his grandmother. Fondly called as Nani by his family members, Mahesh Babu was a regular fixture on his father Krishna’s shooting locations. After completing his degree in commerce from Loyola College Chennai, Mahesh made his debut as a Hero in 1999 with ‘Rajakumarudu’. Long before that, he acted in many of Krishna’s movies like ‘Gudachari 117’, ‘Koduku diddina Kapuram’, ‘Balachandrudu’ etc. After a string of films like ‘Yuvaraju’ and ‘Vamsi’, Mahesh tasted success with ‘Murari’ in 2001. Stardom came with Gunasekhar’s ‘Okkadu’ in 2003 and Mahesh grew from strength to strength. After films like ‘Pokiri’, ‘Dookudu’ and ‘Businessman’, Mahesh Babu cemented his place as one of the top heroes of South India. Amongst the most handsome actors in India, Mahesh Babu has massive fan following among youth and urban crowds. He is one of the most sought after star for brand endorsements. His next projects are “Seethamma Vakitlo Sirimalle Chettu” with Venkatesh and an untitled film under Sukumar’s direction.